Aeroflot welcomed the first non-Russian pilot to join Russia’s flag carrier. 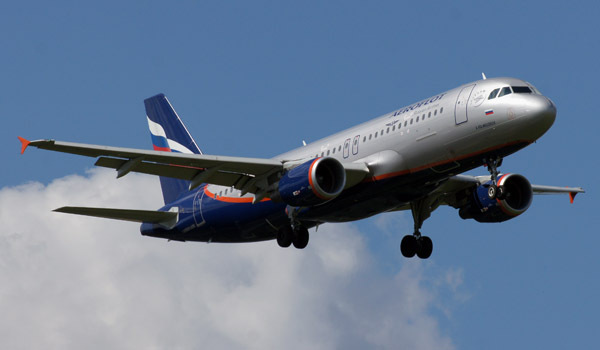 Klaus Rohlfs, a German citizen, made his maiden flight as an Aeroflot captain from Moscow to Prague, the company told. Two more candidate captains – from the Czech Republic and Germany – who are currently completing their registration formalities were also presented at the ceremony in Moscow. Earlier this year changes were enacted to Article 56 of the Russian Air Code to allow Russian airlines to hire foreign citizens as flight personnel from 21 July. A Government Order allows the nation’s carriers to recruit up to 200 foreign citizens every year in total. Aeroflot received more than 800 applications from foreign pilots – or more than 10 per vacancy – with the most applications coming from the Czech Republic, Germany, Italy and Spain. To date more than 40 applicants have passed initial selection and testing procedures. Aeroflot’s management sees recruitment of foreign pilots as an essential transitional measure to help reduce Russia’s current deficit of flight personnel, which will require concerted long-term efforts.